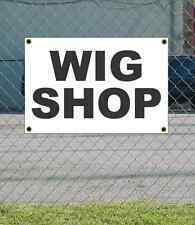 Save discount wigs to get e-mail alerts and updates on your eBay Feed. Unfollow discount wigs to stop getting updates on your eBay Feed. 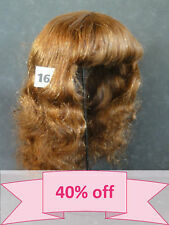 DISCOUNT 40% - Human Hair DOLL WIG size 16" (40.5 cm). Long red-brown hair. 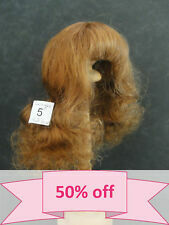 DISCOUNT 50% - Human Hair DOLL WIG size 15" (38 cm). Mi-Long red-brown hair. 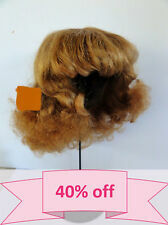 DISCOUNT -40% - Human Hair DOLL WIG size 17" (43cm). Mi-Long red-brown hair. 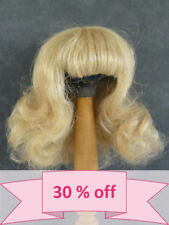 DISCOUNT -50% - Human Hair DOLL WIG size 13" (33 cm). Short red-brown hair. 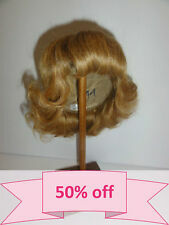 DISCOUNT -50% -Human Hair DOLL WIG size 10.9" (27.5cm). Mi-Long red-brown hair. 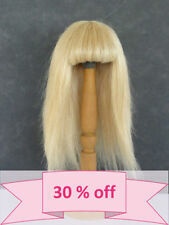 DISCOUNT -60% - MOHAIR DOLL WIG size 2 - 8.07" (20.5 cm). G.BRAVOT - FRANCE. 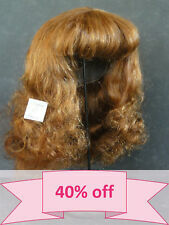 DISCOUNT 40% - Human Hair DOLL WIG size 19.5" (49.5 cm). Long red-brown hair. 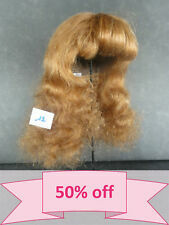 DISCOUNT -50% Human Hair DOLL WIG size 12.6 " (32 cm). Short red-brown hair. 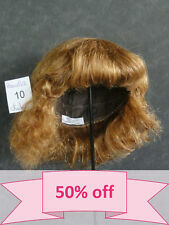 DISCOUNT 50% - Human Hair DOLL WIG size 12.4 (31.5 cm). Long red-brown hair. 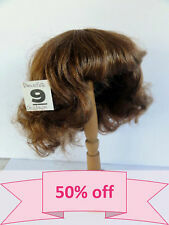 DISCOUNT 50% - Human Hair DOLL WIG size 12.6" (32 cm). Mi-Long red-brown hair. 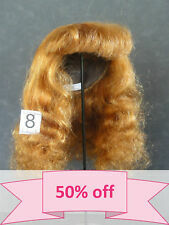 DISCOUNT 50% - Human Hair DOLL WIG size 10.1" (25.5 cm). Long red-brown hair. 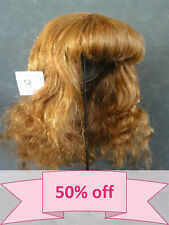 DISCOUNT -50% - Human Hair DOLL WIG size 11.2" (28.5 cm). 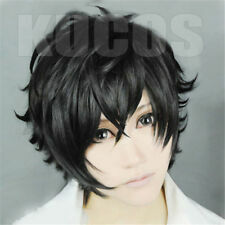 Short dark blond hair. 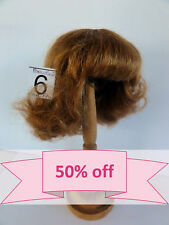 50% DISCOUNT - Human Hair DOLL WIG size 13 " (33 cm). Mi-Long red-brown hair. 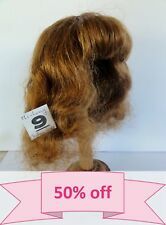 DISCOUNT -50% Human Hair DOLL WIG size 12.6 " (32 cm). Short dark blond hair. 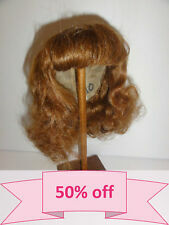 DISCOUNT -50% - Human Hair DOLL WIG size 10.9 " (27.5cm). Short red-brown hair. 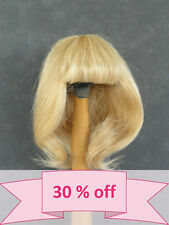 DISCOUNT -50% - Human Hair DOLL WIG size 13.4 " (34 cm). LONG red-brown hair. 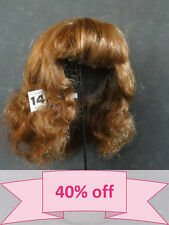 DISCOUNT -40% - Human Hair DOLL WIG size 17" (43 cm). Short red-brown hair. 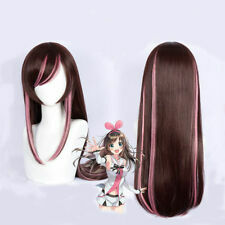 -40% DISCOUNT -Human Hair DOLL WIG size 19.5" (49.5 cm). Short red-brown hair. 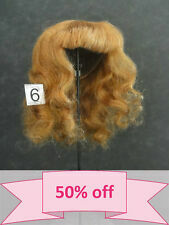 50% DISCOUNT - Human Hair DOLL WIG size 13.4 (34cm). Short dark blond hair. This page was last updated: 24-Apr 12:38. Number of bids and bid amounts may be slightly out of date. See each listing for international shipping options and costs.